Mod your Camaro By Buying This SLP Supercharger Package @ ModBargains! Give your Camaro the ultimate boost in power with this SLP Camaro Supercharger Package. 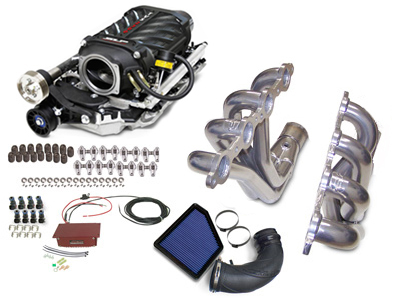 Extract the most power out of your engine and achieve maximum performance gains with this superior SPL Camaro Supercharger Package! 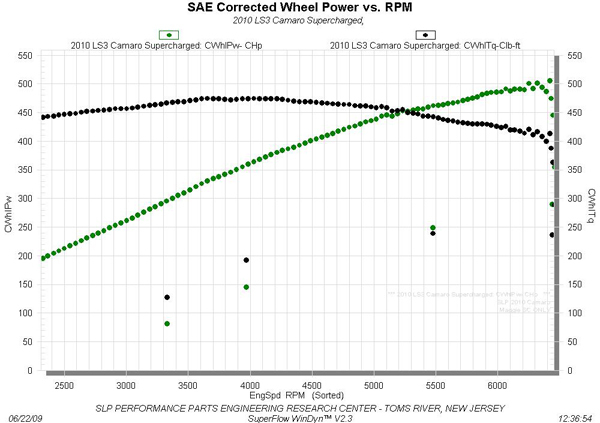 SLP's Positive Displacement TVS 2300 Supercharger for the 2010+ V8 Camaro is the same technology offered in the new ZR-1 Corvette. It safely provides 6 PSI of boost, creating stump-pulling torque and neck-breaking acceleration. It increases the power and torque of the stock LS3 6.2L V8 engine at the flywheel from 426 HP to 575 HP @ 6350 RPM, from 420 ft-lbs. stock to 550 ft.-lbs. of torque @ 3650 RPM and an astounding 500 ft-lbs. @ 2200 RPM! This supercharger package is emissions-legal in all 50 states, E.O. pending. Each package includes all necessary hardware and installation instructions. NOTE: Horsepower and torque figures are slightly lower on L99 engines. NOTE: Convertible models require permanent removal of front brace for proper fitment of Intercooler. Satin Black Finish for an OEM appearance. Fits under the stock hood without modifications. Increased torque and horsepower from idle to redline providing more power under the curve. Self contained lubrication system that is maintenance-free. Interfaces seamlessly with factory Active Fuel Management system. It provides 8 PSI of boost, creating stump-pulling torque and neck-breaking acceleration. It increases the power and torque of the stock LS3 6.2L V8 engine at the flywheel from 426 HP to 630 HP, from 420 ft-lbs. stock to 640 ft.-lbs. of torque. Includes smaller 3.6" pulley, 65-lb/hr high-flow fuel injectors and boost-a-pump. 1.85 rocker-arm package w/springs, retainers and keepers. Mail-in Tune with SLP's unique PCM programming. Fits LS3 V8 engines w/6-speed ONLY. NOTE: Requires new belt (Dayco #5060945 6-rib or equivalent, not included). NOTE: WILL NOT INSTALL ON THE L99 ENGINE only the 6-SPEED/MANUAL TRANSMISSION VEHICLES! NOTE: For off-road use only. It provides 8 PSI of boost, creating stump-pulling torque and neck-breaking acceleration. It increases the power and torque of the stock LS3 6.2L V8 engine at the flywheel from 426 HP to 650 HP, from 420 ft-lbs. stock to 647 ft.-lbs. of torque. NOTE: WILL NOT INSTALL ON THE L99 ENGINE. 6-SPEED MANUAL TRANSMISSION VEHICLES ONLY!